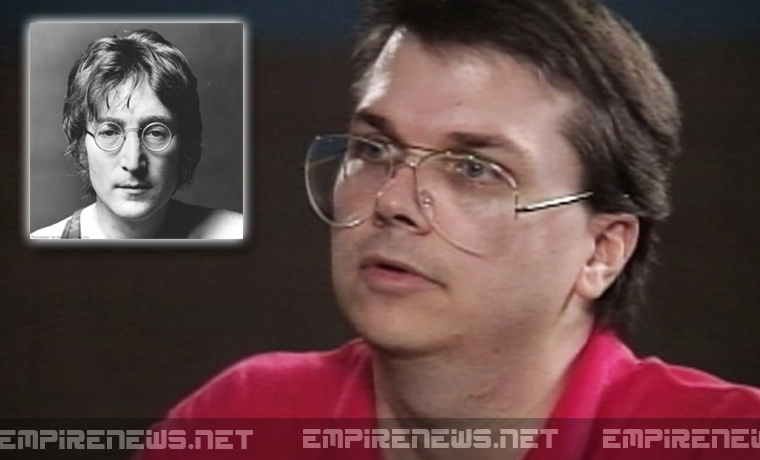 Again, This non cosmic conscious writer/editor in article can only use his 5 logical human senses to explain about inside of mind of John Lennon’s killer while my cosmically channeling, it will explain more clear than this article. Indeed, more than a dozen psychologists and psychiatrists studied Chapman in the six months really waste their time, energy and money on things which they have no cosmic clues what’s going on inside the mind of killer and just use their educated guessing on this issues is manifested disconnect the nature of our cosmic God/universe of reality so now the question is remain, how can atheist / agnostic / skeptical understand this pure essence of the cosmic messages above the stars or soul of cosmos yet with tons of guns around or no guns at all, none of those rational answers will work. There is much more than what the eyes can see and what the experts “educated”mental health experts’ minds can perceive about our solar system spiritual purposes. So Here’s my cosmic explain in order to help you understand where he come from and What’s his motivating force in the target to Lennon? Why? Moon 27Sag53 (8) (death) Moon rules emotion response in 7th house of other committed relationships, the public, known enemies, partners, opponents where it located in death and drama sign of Scorpio that manifested toward to Lennon’s death because of his religious belief, Sagittarius rules codification of thoughts (religious books). Chapman became angry at Lennon when he discovered he had proclaimed the Beatles “more popular than Jesus” in a 1966 interview with the London Evening Standard. Chapman, a devout Christian, destroyed Beatles record albums and “even said he changed the words to ‘Imagine’ to ‘Imagine if John were dead,'” McManus recalled. Mercury 07Gem05 (2) (self-esteem) Gemini is dominated by Mercury is the planet of communication and mind but when he become depression or angry, it lead to paranoid schizophrenia via badly aspected by his Mars (destruction) conjunct Mercury (mental processes), the worst was to be expected. Venus 19Ari04 (12) (subconscious) Venus rules love and beauty in 12th house of subconsciousness, secret and guilt over having an affair in the past. Aries rules violent feelings at his subconscious level is related to Lennon’s belief. He was fighting on behalf of religion beliefs (12th house). Mars 19Gem45 (2)(self-esteem) Mars rules destruction in his mental processes and mind sign of Gemini. He kept talking about Lennon all the time. He kept saying he could not understand why John Lennon had said it. Jupiter 24Can13 (3) (mind) Jupiter rules codification of thoughts (religious books) in 3rd house of his mental processing where it located home sign of cancer. He read the bible during quiet time at his home. Saturn 17Sco46 (7) (opponents) Saturn rules insecure and fear in committed relationships, the public, known enemies, partners, opponents where it located in death and drama sign of Scorpio that manifested toward to Lennon’s death. Uranus 24Can15 (3) (Mind) Uranus rules sudden release of energy produced by the shooting at Lennon. Neptune 26Lib17 (6) (work) Neptune rules deceptive, illusion, religion in 6th house of work and service where he joined some members of Chapman’s prayer group and distributed Biblical tracts. Pluto 24Leo18 (4) (home) Pluto rules power in creativity, love, warmth, and leadership sign of Leo, He was very popular with the children, who nicknamed him “Nemo”. He won an award for Outstanding Counselor and was made assistant director. MSNode 28Gem34 (2) His mind is not stable and restless which he loses touch with reality. Gemini (double personality) rules “Jack of all trades,” unable to focus and not clear the thought processes when he read the library book. Keep in mind, his Dragon Tail (negative) in 2nd house of values, resources, personal belongings, sense of self-worth, income is really conflict his interest in Lennon’s life. Chapman had later also been influenced by reading in a library book (John Lennon: One Day at a Time by Anthony Fawcett ) about Lennon’s life in New York. According to his wife Gloria, “He was angry that Lennon would preach love and peace but yet have millions [of dollars].” Chapman later said that “He told us to imagine no possessions, and there he was, with millions of dollars and yachts and farms and country estates, laughing at people like me who had believed the lies and bought the records and built a big part of their lives around his music. BlackMoon 06Sag42 (8) (death) He is complicated in past life linked to the depth of religious doctrine, and authorities. Do anything for deadly motivations in the name of religion. 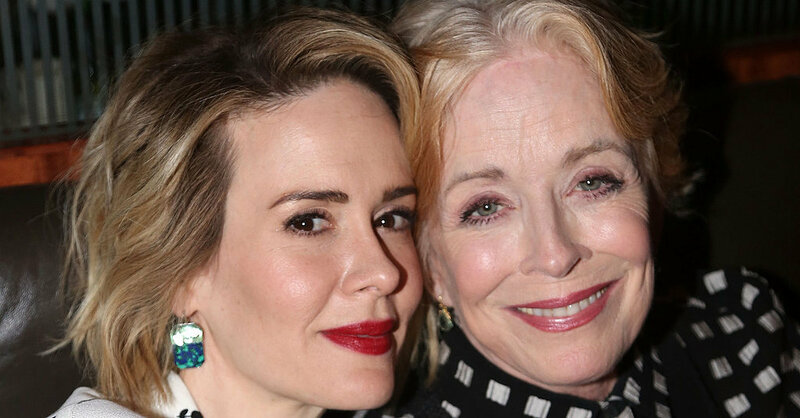 Holland Taylor and Sarah Paulson, the two actress, who are 32 years apart, have yet to admit they are dating. Taylor told WNYC that this is her first serious relationship with a woman and they have been talking marriage. Holland Taylor, born January 14, 1943 and Sarah Paulson, born December 17, 1974 – The Stars will explain how and why they attract each other. This is nothing to do with gender identity or age, but soulmate of cosmos or synastry relationship only. I must emphasize this fact, Synastry is the art and science of relationship astrology. It is a illuminating study case of how individuals interact with one another like you can only perceive someone’s view through your vibrations speed, your own senses, your own stars. This will help you start to learn the basics of the methodology as you get more into the structure of the technique. According to the Chinese Zodiac, Holland born with the Chinese sign of the Horse. These individuals are demand to simulated intelligence communicate. Sarah born with the sign of Tiger. She is a very passionate, courage and quick-tempered nature. Horse and Tiger is similar with Gemini and Aquarius as same speed. But most expert educated like Millionaire Matchmaker Patti Stanger or Oprah Winfrey producers or Reality television dating game show should have me on the national TV, so it will allow me to read marriage / relationship omens or the stars that become so fascinating in spiritual purpose of marriage or synastry relationship to be used as signs via the divine superconscious in time and space than use their own rational 5 limited human senses on national TV, indeed impossible to explain why born to be gay or attract to lesbians like Sarah Paulson. My cosmic interpretation or perception of anything will not be the same as yours because of most of you, limited human senses is a based on the very dry education in every school / university especially US department of education indeed responsible for Gay Bullying. Reality television dating game show will never offer a complete answer to the gay / lesbians questions in working of the human mind until they take the time to master the Universal Mind’ secrets where all cosmic synastry answers are locked since the dark ages was a period of religious conflicting perspectives or falsified doctrines between Orthodox Christians and Catholics as result to invaded and conquered lands and devastated kingdoms that leads to reduction in literature, arts and cultural / science developments in the secret of the stars. Back to cosmic synastry answers to those two beautiful women who happened to attract each other. Sarah Paulson, born December, facing to the world as Gemini. Gemini rules dual life like attract man and woman both, indeed her sexuality is ‘fluid’. Sarah Paulson born with Venus is right on her Holland’s Sun in Capricorn. Sarah’s looking for love -Venus (love) in Capricorn (older woman / career-conscious / public image) It seems to me the capricorn men like older women so her Venus is the type of love she is able to offer to Holland. Sun-Venus is a mutual attraction and feels more loving and beautiful. Holland Taylor born with Mars is right on her Sarah’s Sun in Sagittarius. Sarah feels sexually stimulated by the Mars person (Holland). Holland attract to appreciate Sarah’s strengths, sexual attraction and drive to get things done. Holland born with Dragon Tail (past life) in Aquarius (freedom) is right on Sarah’s Moon’s emotion response this represents a past life connection. Sarah is emotionally indebted to Holland’s past life relationship is a part of significant emotional bond. Holland is very rebellious with a strong need to travel the world and most of her relationships have been with women. Holland Taylor and Sarah Paulson, the two actress, who are 32 years apart who don’t meet people by accident. They are mean to cross their path for a cosmic synastry reason.